Cats might be beautiful animals, but they can cause havoc if they start using your garden as a toilet. Those plants that you’ve been waiting to flower can be destroyed within a matter of seconds by a local neighbourhood cat. Even worse than cat poop and destroyed flower beds is the potential risk that comes from their faeces. The faeces contains a parasite known as Toxoplasma Gondi. When exposed to humans it can lead to serious health issues. Luckily solving this problem isn’t that difficult. With the right cat repellent the problem can be solved relatively quickly. Below is a list of the most effective and humane ways to keep cats out of your garden permanently. Ultrasonic cat repellents are one of the most common products on the market, due mainly to the effectiveness. These devices work by detecting movement, which in turn activates a very unpleasant noise for cats. Ultrasonic repellers vary in price, but they all do a very similar job, except for the higher end models which are fitted with heat detection. Water sprayers work in a same way as ultrasonic repellers, but rather than emitting a high pitched frequency, they emit a light spray of water. AS we all know cats hate being sprayed with water, so this type of deterrent is very effective. If you’re looking for a very low budget solution, then it’s worth considering herbs and spices such as lavender or curry powder. These types of deterrents have a very strong smell which cats find distasteful. Although not as effective as the other repellents, this is great thing to try before you do invest in any sort of higher end product. Sprays can be an effective method for keeping cats out of your garden, but these types of products work much better when used within the home. They are an effective way of teaching cats where they can and can’t go within your home. 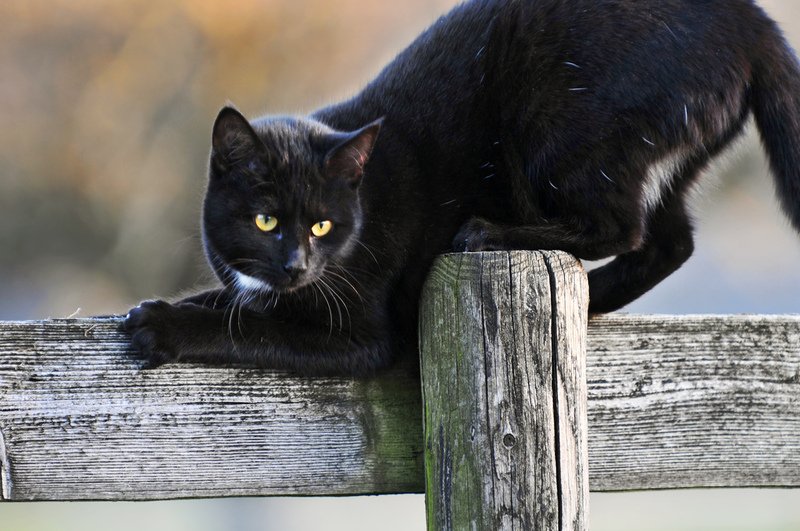 A professional deterrent is a fantastic solution for keeping cats out of your garden, but there is several other points you must take into consideration to completely solve the problem. If there is any cat faeces in your garden be sure to remove it as soon as possible. Not removing the poop straight away will only increase your chances of the cat coming back. If a cat has just urinated on your garden, wash it with soapy water as soon as possible. This is so you can get rid of the smell as soon as possible. If you do manage to catch the cat before it does its business pick it up and move it off your garden. Repeating this several times is sometimes enough to keep the cat away permanently.